Can Bravehearts and 'WooSox' Coexist in Worcester? As Worcester celebrates the news that the PawSox will be moving there, the Bravehearts are wondering whether there is still room for them in the city. 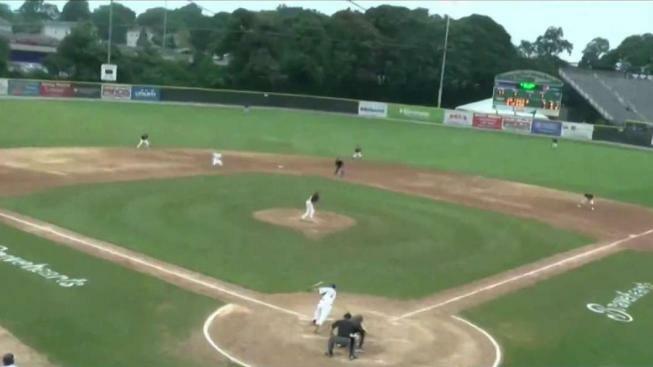 Baseball in Worcester, Massachusetts, is nothing new – the Worcester Bravehearts of the Futures Collegiate Baseball League have been hauling in championships and breaking attendance records for the past five years. "We just finished up a season where we just drew over 2,500 fans a night to this 3,000 seat facility," said Worcester Bravehearts General Manager Dave Peterson. But in about three years, the Red Sox' Triple-A affiliate are set to leave Pawtucket, Rhode Island, and come to town. Even the Bravehearts' owner has said it will be hard for this small, family-run team to compete against an affiliated minor league franchise. "I do feel that Bravehearts might be a bit driven out, and it's sad," said Olivia Cepeda of Worcester. "I do like what the Bravehearts have done for the city, but the WooSox could be interesting, too," said Bravehearts fan Jacob Freedman. But Peterson says the team's secret to success is about much more than baseball. "I like to pitch it to our staff as the Disney World of Worcester," he said. "That's how we need to act so when fans come to this ballpark, they leave here with a smile on their faces." Peterson personally gets into the stands to entertain fans, along with the team's mascot. And they focus on family fun entertainment, keeping ticket prices and concessions cheap and the parking free. "It's about connecting people where they can entertain themselves, have a great time and baseball is just a byproduct," Peterson said.